6 Piece 1500 Thread Count Fine Brushed Microfiber Deep Pocket Sheet Sets - Starting at $15.90! 6 Piece 1500 Thread Count Fine Brushed Microfiber Deep Pocket Sheet Sets – Starting at $15.90! 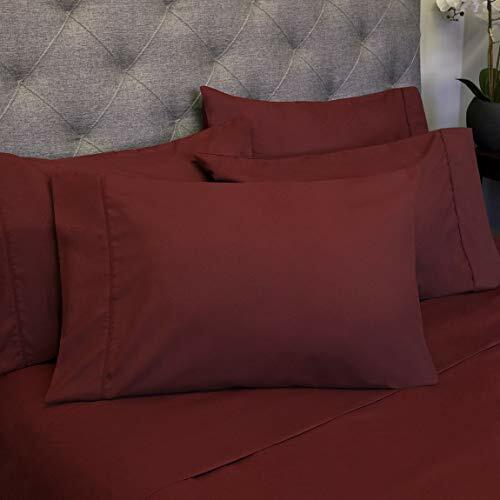 Score a GREAT DEAL on the 6 Piece 1500 Thread Count Fine Brushed Microfiber Deep Pocket Sheet Sets Bedding – 2 Extra Pillow Cases, Great Value, today starting at only $15.90 from Amazon! You will get FREE Shipping if you are a Prime member! If you are not an Amazon Prime member you can grab a FREE 30-Day Trial HERE! Get the all the Details of this deal below! 6 PIECE SET VALUE PACK: Our 6 Piece Sheet set includes 2 more pillowcases than the industry standard 4-Piece Sheet set. Following requests from customers we have added 2 Pillowcases prepacked with a 4 Piece Sheet resulting in more than a 50% SAVING on adtional pillowcases that would normally be sold separately. Add style, comfort and luxury to your bedroom with these sheet sets. They promote the great night’s sleep you’ve been looking for, making every morning a refreshing one. These sheets look/feel good at home, vacation, kid’s room, guest room, college dorm. Our goal is to figure out how we can provide more savings and more quality to our customers. QUEEN SIZE LUXURY BED SHEET SET MEASUREMENTS: 1 Flat (90″x102″) 1 Fitted (60″x80″) and 4 Standard Pillowcases (20″x30″) w/ deep pockets that fit mattresses up to 16″ deep with elastic around the fitted sheet. These sheets grip and fit better than any other sheet set! Bed sheet set is designed to fit nearly all mattresses with a depth that does not exceed 16″. With added stretch and durable elastic the fitted sheet is designed to stay snug and fitted to your mattress. Use the pouch on the inner flap of the pillowcases to hold pillows inside while hiding the pillow as well. Egyptian Quality sheets at a great value! These 6 piece sets exceed comfort expectations, and are at a lower price than other sheet sets. Get more bang for your buck. Our 6 piece sets provide more value and flair than all the rest. We encourage customers to reach out and contact the Sweet Home Collection brand regarding your experience. We want you to be 100% satisfied with your purchase and we pride ourselves on offering the best customer service in the business. Whether you’re calling with a simple question or telling us about your experience with one of our products, we strive to give each and every customer a personal experience. These elegant 6 piece sheet sets are the perfect solution to your quality bedding needs. Durability, comfort and luxury are packed into every inch of these high quality sheets. Each package contains 1 flat sheet, 1 fitted sheet and four pillow cases (note: twin sets only contain two pillow cases). do you need a solution to your horrible night’s sleep cause by your current sheets? here is your answer. Spoil yourself with the ultimate luxury, softness and comfort found in our sheets. Please do not hesitate to check out our other quality bedding products and transform your bedroom into the ultimate relaxation space. 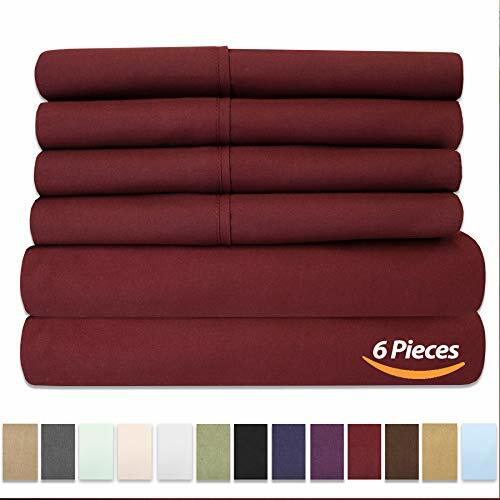 Don’t miss this deal at Amazon Today on the 6 Piece 1500 Thread Count Fine Brushed Microfiber Deep Pocket Sheet Sets – 2 Extra Pillow Cases, Great Value, starting at only $15.90! !